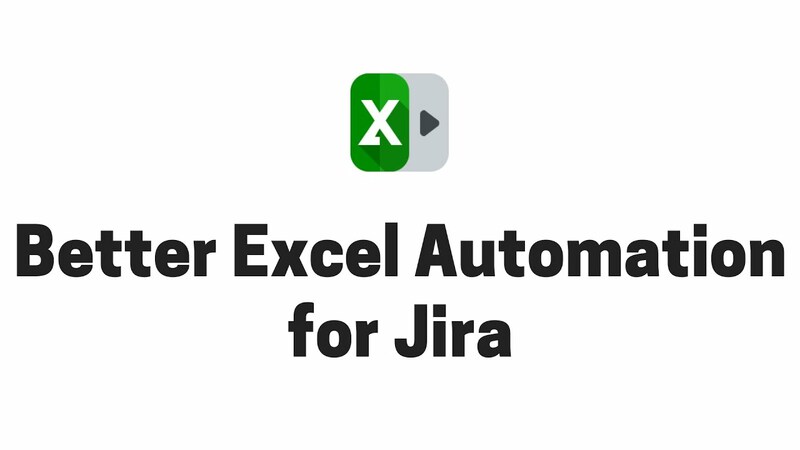 This app was previously called "Excel Automation Plugin for Jira". It is still the same app you love, but it was renamed in Sep 2018. The Send Excel action enables you to select the Excel template, enter the recipients' email addresses, the email subject and the body text. Let the reports come to your mailbox automagically. Daily stand-up meeting at 9:00? Schedule Send Excel to 8:50 and auto-send the sprint status report to everyone involved. The Save Excel action saves the generated PDF files to the file system. The Attach Excel action attaches the generated Excel file to the "original owner" issue or to an arbitrary issue selected by a JQL search. Better Excel Automation helps us to automatically distribute custom reports to the necessary recipients on a predefined schedule. We used it to regularly send a report to the top management and it worked really well. If you need to automate and send a report in Excel format via e-mail from Jira filters, give it a try. Our team uses it all the time to generate comprehensive reports that can not be done otherwise. The team and support at Midori is fantastic, fast response and updates / progress on possible resolutions. We have developed a system that allows us to generate reports in Excel format with the calculation of SLAs from the services of our suppliers. It's a system that integrates Better Excel Automation, Better Excel Exporter and Time to SLA. It is a powerful and easy to use add-on. The customer service is also something that needs a mention. Also automating the export of business documents from Jira? Check out our PDF automation app!